People kept asking Brook-Range to make a perfect snow fluke and so they did, making it the premier snow tool. The Brooks-Range Snow Fluke has a peerless strength-to-weight ratio, as well as unmatched practical design. 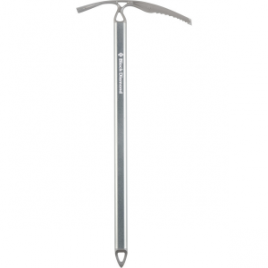 The Brooks-Range Snow Fluke doubles as an emergency digging tool or tent anchor making it the perfect shelter accessory. Available in three sizes. The Brooks-Range version is the best compromise between holding power and size. 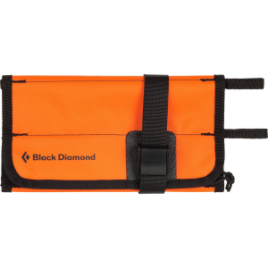 It is color anodized to both protect the snow fluke and make it easier to find in the snow. 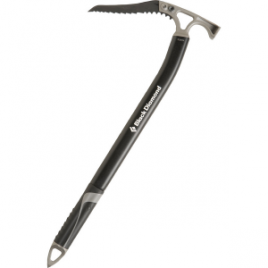 The Brooks-Range Snow Fluke has a stainless steel striker plate to take hammering abuse of an ice axe and a 3.26 mm galvanized 7 by 19 wrap steel wire cable. It is imperative that the Brooks-Range Snow Fluke is placed correctly to ensure maximum holding power. 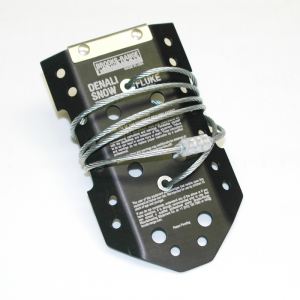 A well placed snow fluke will dig itself deeper under load, while a poorly placed device will pull out very easily.